Samsung 40" 4K Ultra HD, Smart, LED TV Just $297.99! Down From $1,000! You are here: Home / Great Deals / Black Friday Deals / Samsung 40″ 4K Ultra HD, Smart, LED TV Just $297.99! Down From $1,000! 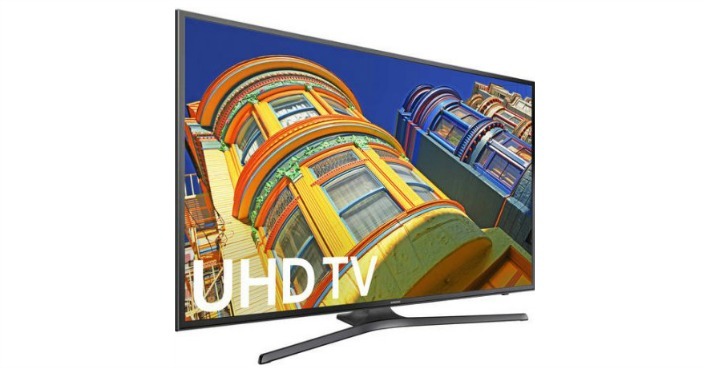 Samsung 40″ 4K Ultra HD, Smart, LED TV Just $297.99! Down From $1,000! Right now you can get this Samsung 40″ 4K Ultra HD, Smart, LED TV for just $297.99 (Reg. $1,000) at Walmart! Enjoy 4K Ultra HD resolution and High Dynamic Range (HDR) content that delivers greater clarity with UHD Dimming and a fuller spectrum of color with PurColor. Access your favorite content quicker and easier with the new Samsung Smart TV platform powered by a Quad-Core Processor.